Here’s a fun movie deal! 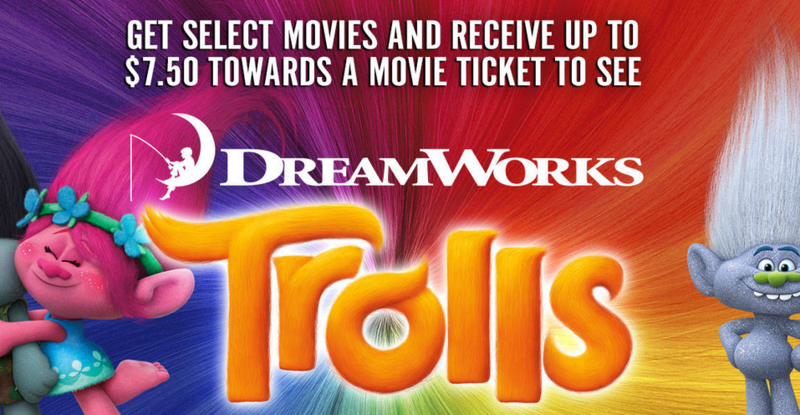 You can get a $7.50 Reward Code to see Trolls when you purchase a select DreamWorks movie title. There are 42 titles that are participating in this offer! Do note that you must have a FandangoNOW account to get this offer (FREE to join) plus a credit card is required. Limit of one code per person. Valid through 11/11 or while supplies last.